Wow. That looks so bizarre I can't even believe it. 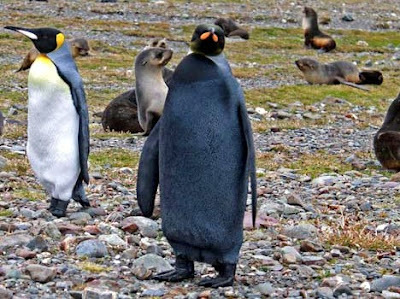 Wow...All-black penguins are so rare there is practically no research on the subject -- biologists guess that perhaps one in every quarter million of penguins shows evidence of at least partial melanism, whereas the penguin we saw appears to be almost entirely (if not entirely) melanistic.